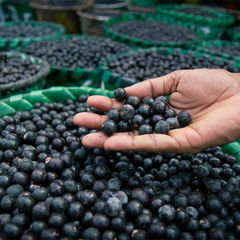 The term superfood is often evoked for exotic and ancient fruits, such as these acai berries. Over the previous weekend the morning magazine shows I have on during lazy mornings had 2 glamorous nutritionist types breathlessly discussing the latest ‘superfoods’ that would be big in 2014. It’s difficult to think of a job description which triggers queasiness in me faster than ‘nutritionist’. The title is not a protected term, meaning it can be used without any specific qualifications. Sadly, many who use the job title are poorly trained and seem to feel no particular responsibility to make statements that correspond even roughly with reality. For every Dr Rosemary Stanton there are dozens of less scientifically literate and community minded colleagues. The misleading and fatuous nature of the information provided by some nutritionists in the mass media has been highlighted in scientific circles for a long time, most famously and effectively by Dr Ben Goldacre in the UK. He went as far as obtaining certification from the American Association of Nutritional Consultants (AANC) for his dead cat Henrietta, giving ‘poor Hettie’ posthumous professional recognition as a colleague of many UK media nutritionists. The most serious profession which follows the science of food and nutrition is dietetics. Dietitians are part of science-based healthcare and have a comprehensive professional structure which ensures their opinions are likely to be reputable. The title Accredited Practising Dietition (APD) is a legally protected one, and a fair guarantee of scientifically reasonable advice.This is most likely why dietitians are the only nutrition professionals recognised by Medicare and other funding bodies. It’s probably also why you don’t see many of them making sales pitches on commercial TV for their latest eating plan or superfood. In any case, both of the youthful and bubbly nutritionists were asked to present their opinions for the viewers regarding ‘superfoods’. Rather than looking sheepish and admitting that there is really very little to the idea of superfoods, they launched into a stream of inane pseudoscientific factoids in rapturous praise of exotica like quinoa, goji berries and green tea. My eye-rolling became audible when one of the talking heads blithely answered a direct question about the lack of scientific credibility for superfoods invoking ‘ancient wisdom’ and the whole paleofantasy meme. Miracle foods and dietary crazes have been around for hundreds of years, but our susceptibility as a species to their blowsy charms seems undiminished. We always want a short cut when deep down we know there is hard work to be done. We always want to feel like we know more than the next guy or to be in on a secret. Quinoa is a good example. It is almost unique among grain and seed crops for having the full complement of essential amino acids. It makes a lot of sense to use it as a staple cereal in subsistence farming. In fact the Peruvian government has a quinoa program as a public health measure to avoid malnourishment in poor communities. It also makes sense for astronauts to eat it, as it is light to carry and full of nutrients. The average consumer in a developed country has no particular need to eat quinoa as it is virtually impossible to become protein-deficient with even an unhealthy diet. It’s good for those who are gluten-intolerant to have a palatable choice to add to their diet, but it certainly doesn’t make ethical sense for healthy consumers in affluent countries to poach the staple crops from those who actually need them in dewy-eyed pursuit of a utopian state of health. The food fads of the developed world are not without consequences for the environment, either. Quinoa is sourced mainly from Peru, where soaring export prices have created difficulty for locals who now are having problems affording their staple food, and are using their newfound income to become more like their Coke and fries-loving North American neighbours. Huge swathes of farmland in China are being turned over to production of Goji berries though they are not of any particular medical value. Hype over the as-yet-unsupported claims of ginseng to improve memory and ‘energy levels’ has landed both Asian and American ginseng on the WWF priority list of endangered species. Producers of chia, an unexciting Latin American crop that happens to have high levels of antioxidants have struggled to cope with the rapid increase in demand for their crop, and are planning to expand production at the expense of other crops. When chia seeds, goji berries and quinoa are no longer the superfoods du jour, these companies will presumably wind down and the farmers will be left to contemplate the wisdom of basing their long term economic hopes on the vagaries of dietary crazes in rich, distant countries. The hucksters who promote superfoods will have made their money and moved on to some other weight loss or health-promoting scheme. To be fair, conservationists may be able to take advantage of uninformed wingnuttery to help save some of the Amazon rainforest, so it may not be all bad. Stable, sustainable production of quinoa may help with food security in the developing world but this is a long way from happening, and is not thanks to promotion in the developed world by health food enthusiasts. I’m not suggesting that variety and healthy choices are not important. I’m also not suggesting that we as a community should continue with the eating patterns that have us contending for the title of World’s Most Obese Country.. I am suggesting that valuable media airtime should be spent educating people how to prepare and plan a varied, balanced diet. Claims for biological effects of individual foods should be based on credible sources not promoted beyond the evidence. Conflicts of interest should be disclosed if the food is being promoted in the media. 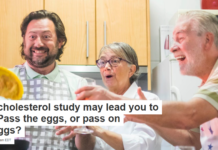 The core messages about healthy eating should not be lost in the dense fog of hemi-facts emitted by the engines of the health food industry. I’m all for selling cookbooks to make it easy and fun to prepare healthy meals, but can we drop the pretence that there are short cuts to be taken with miracle foods?